The Southern Ocean is the world’s least explored ocean due to its remoteness and inhospitable nature – data coverage is lower than in any other ocean. 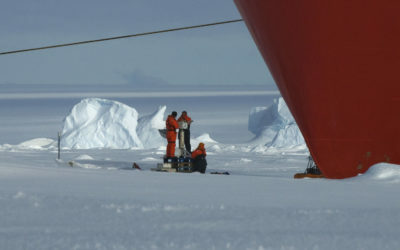 Polar research ships continue to play a central role in allowing scientists to access the Southern Ocean in order to study its unique ecosystems and biodiversity, which have an important impact on global climatic and ecological processes. 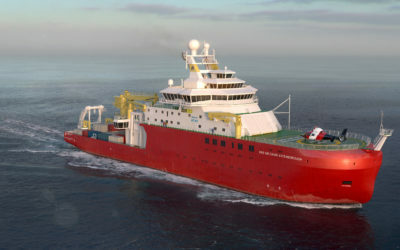 Three different types of Bongo nets are planned for the RRS Sir David Attenborough. The bespoke motion-compensated Bongo net corrects for the pitching and rolling of the ship using a spring mechanism that helps maintain a constant upward velocity of the net through the water. This avoids damage to equipment or samples from sudden acceleration. The same net can also be configured as a towed Bongo net in order to sample specific water depths or strata. Additionally, a small and lightweight mini-Bongo net can be deployed from smaller boats – such as the ship’s workboat – using smaller winches. 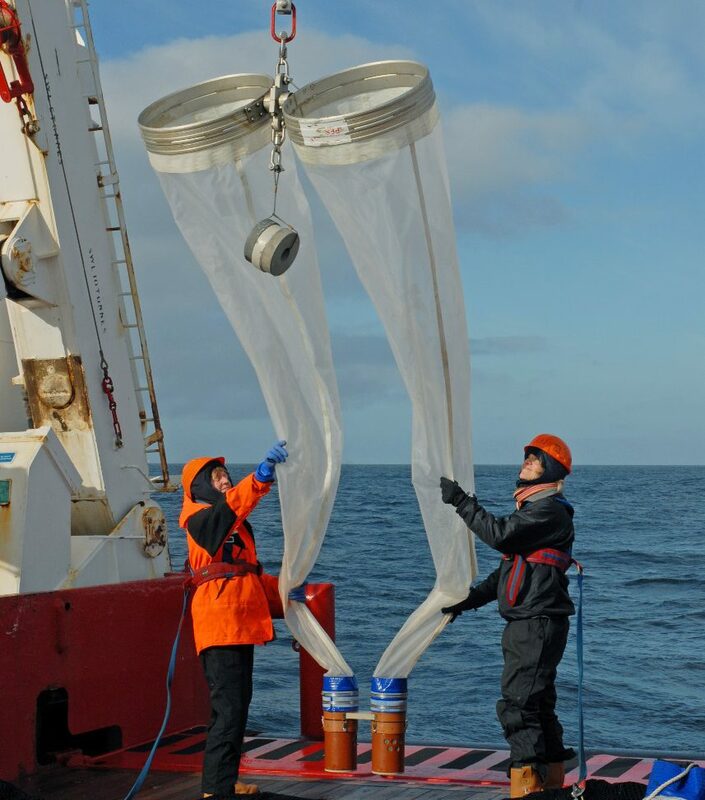 It is mainly used to sample small zooplankton in good condition from depths of up to 100m. 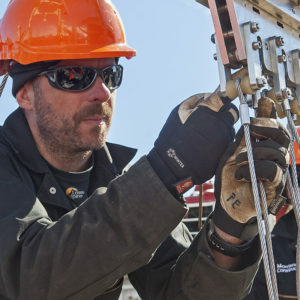 Towed bongo nets on the back deck of RRS James Clark Ross on cruise JR177 in the Southern Ocean. 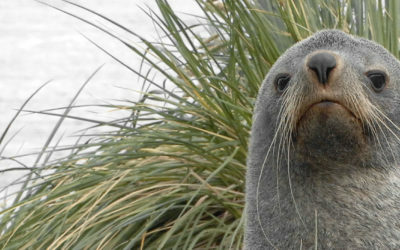 The Southern Ocean is the world’s least explored ocean due to its remoteness and inhospitable nature. Despite the cold waters and harsh conditions, however, it is teeming with life from well-lit surface waters to the abyssal depths. 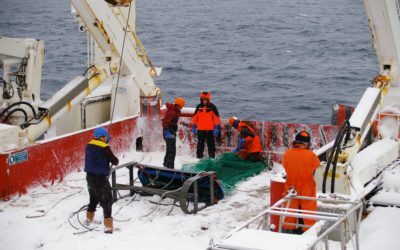 The Biodiversity, Evolution and Adaptation and Ecosystems teams at British Antarctic Survey study the combined impacts of global climate-driven change and commercial fishing on polar marine ecosystems, and how life adapts to extreme polar conditions. Their research provides deep insight into the impact of environmental change on the natural world and informs policies that regulate fisheries and conservation and ecosystem-based management strategies. Emissions of carbon dioxide and other greenhouse gases – from both human and natural sources – are among the most powerful known drivers of climatic change. They can also affect the climate system indirectly, causing poorly understood cycles of change known as feedback loops. Such feedback loops are one of the reasons why it is so hard to predict what the climate of the future will look like. Most polar feedbacks we know of are positive: as it gets warmer, the consequences produce even further warming. 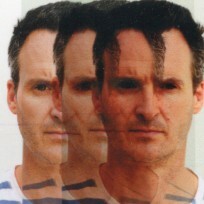 However, there are also some negative ones, which help offset the impact of greenhouse gases instead of amplifying it. 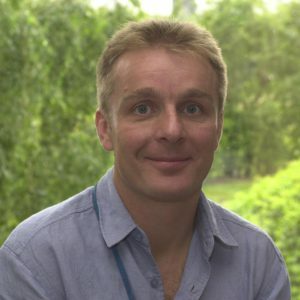 Dr David Barnes, a marine ecologist at British Antarctic Survey, has used seafloor trawling equipment and remotely operated vehicles (ROVs) aboard the RRS James Clark Ross to study one such negative feedback related to the “blueing” of the polar regions as sea-ice cover diminishes. 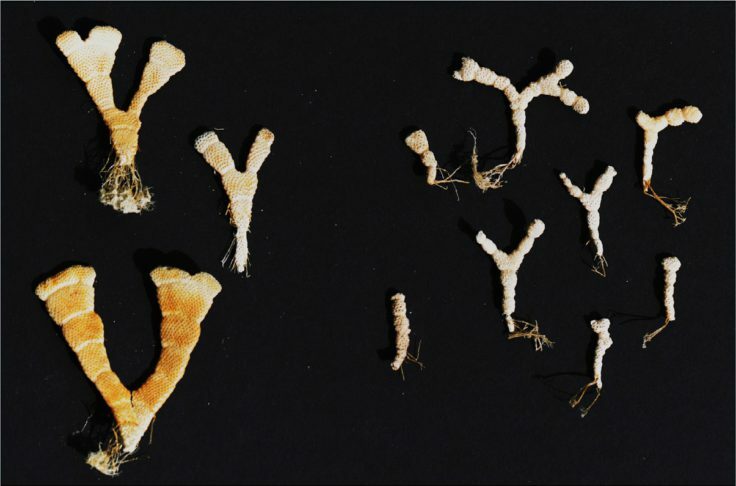 In a recent paper he published results showing that tiny seafloor dwellers called bryozoans are removing more carbon from the ocean as summer ice-free periods become longer. Bryozoans are tiny filter-feeders that live on the relatively shallow seafloor of the continental shelf and depend on food sinking down from the surface. Like many benthic organisms, bryozoans grow their exoskeletons using carbon that they extract from the ocean and convert to calcium carbonate. This process is known as carbon immobilisation. When the organism dies, its exoskeleton may be buried by sediment, removing the carbon fixed in it from the global carbon cycle for millions of years. Because bryozoans depend on food dropping down from above, they can only grow when the sea surface is ice-free, allowing phytoplankton blooms to grow and providing food for the seafloor community. Over the last three decades, the duration of sea ice cover has shortened by an average of 80 days on 1 million square km of ocean – that’s roughly four times the size of the UK. 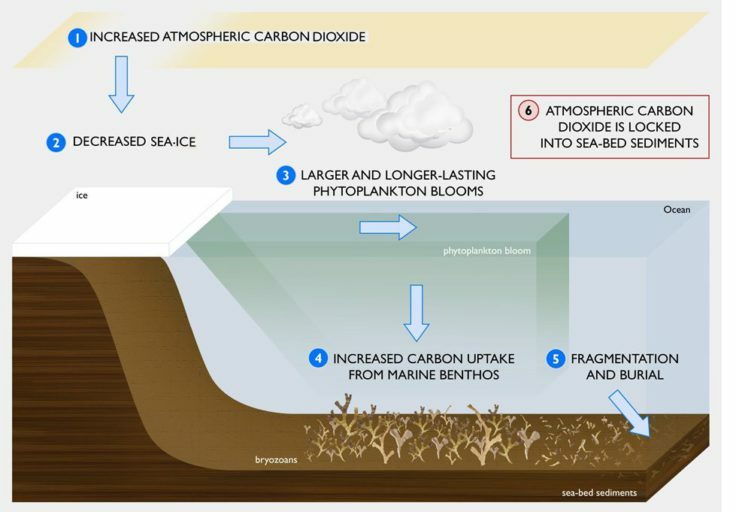 This huge area can now support phytoplankton – and bryozoan growth – for much longer every year. Where permanent ice shelves collapse, plankton and benthos can also colonise entire new areas previously uninhabitable to them. As a result, Antarctic benthos can immobilise and fix far more carbon than before as the region’s climate changes. 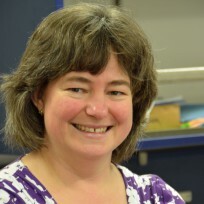 A recent study by Dr Barnes and colleagues at BAS and the National Oceanography Centre in Southampton found that carbon immobilisation is particularly pronounced around the remote South Orkney Islands, 300 miles off the tip of the Antarctic Peninsula. In 2010, this area became the first marine protected area located entirely in the high seas (as opposed to a country’s territorial waters). 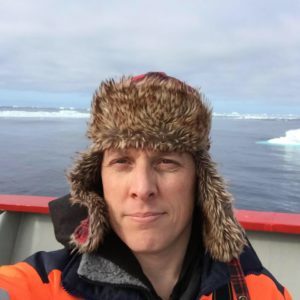 In order to map the carbon immobilisation effect of benthic communities around the Antarctic, Dr Barnes and his colleagues will be undertaking several more research cruises around the entire Antarctic continent in the coming years. They will be able to visit very rarely studied areas and add to our understanding of the complex relationships between Antarctic ecosystems and climate change.